Rating: 0 of 0 votes Topic: What are the Keys of Happiness in Islam? What are the main factors that lead to inner peace? - Whoever works righteousness as a believer, whether male or female, We will give a good life. - Then, whoever follows My guidance shall neither go astray nor be distressed. But whoever turns away from My reminder will have a life of hardship. - And the cattle, He has created them for you; in them there is warm clothing and numerous benefits, and from them you eat. There is beauty in them for you when you bring them home in the evening and when you lead them to pasture in the morning. Islam comes with a complete way of life. It provides rules and procedures to prepare a person for life in both this world and the next. In this way, Islam ensures a person’s well being in this world as well as in the life to come. Islam comes to protect the highest needs of man: life, reason, wealth, lineage, and faith. - Seek, with what Allah has given you, the abode of the Hereafter, and do not forget your share of this world. - Little are the enjoyments of the life of this world as compared to the Hereafter. - Those whose lives the angels take while they are in a pious state, to them the angels will say: ‘Peace be upon you. Enter Paradise because of that which you used to do. - For those who do good in this world, there is good, and the abode of the Hereafter will be better; and excellent indeed will be the abode of the pious. Islam has clearly defined the role of the human being on Earth. It has made him vicegerent therein, whereby he must strive to inhabit and develop the Earth, bring about prosperity, and work for the best interests of mankind in this world. These noble objectives are surrounded by difficulties and require man to exert a lot of effort and to bear heavy burdens in order to fulfill them. Life is not always as easy and simple as we would wish it to be. Quite the contrary, it goes from being easy to being very difficult, just like a person goes from being healthy to being ill or from being poor to being rich and vice versa. Man must constantly deal with these trials throughout his life. In this way, he can realize the noblest qualities that these trials demand from him, like patience, willpower, determination, courage, reliance upon Allah, industry, and good morals. Surely, we will try you with something of fear, hunger and loss of wealth, lives, and the fruits of your labor, but give glad tidings to the patient ones; who, when afflicted with calamity say, ‘To Allah we belong and to Him we shall return.’ These are the ones who will receive blessings and mercy from their Lord, and these are the ones who are rightly guided. Those who believe and do not mix their belief with iniquity, for them there is security and they are the rightly guided. B. Faith gives a person an ideal to strive for. His life is invested with a higher meaning that inspires him to work and expend his efforts in order to realize it. This keeps him away from living a narrow, selfish life. He instead lives his life for the good of others in the society in which he lives. A person who lives only for himself finds his days shortened and his goals constrained. When he, instead, lives for the ideal that inspires him, his life appears long and beautiful, beginning with the dawn of humanity and continuing long after he leaves the Earth. This enhances his perception of the moments, hours, and days of his life. If you are suffering, then they too are suffering as you are, but you hope from Allah what they do not hope for. 2. High moral standards that inspire one to do good for others: Man is a social being who needs to interact with beings of his own kind. It is not possible for him to exist independently of others in every aspect of his life. Interacting with others is unavoidable, and people differ greatly in their physical and mental peculiarities. Thus, it is unavoidable that displeasing things will happen between people that can cause them sorrow and distress. If a person cannot deal with these things in an honorable manner, then his interaction with others – which in and of itself is unavoidable – will be a great source of distress and misery for his life. For this reason, Islam emphasizes morality and the development of moral character. - And verily you (O Muhammad) are of an exalted standard of character. - And by the mercy of Allah, you dealt with them gently. And had you been severe and hard-hearted, they would have dispersed from around you; so overlook their faults and ask Allah’s for their forgiveness; and consult them in affairs. - Help one another in virtue and piety, and do not help one another in sin and transgression. - The good deed and the evil deed are not equal. Repel evil with that which is better, then verily the one between whom and you there was enmity will become as if he was a close friend. 3. Remembering Allah often and constantly being aware of His presence: A person’s satisfaction with another depends on the esteem that he has for him. Allah is the greatest source of peace for the heart, and the one whose remembrance can bring joy to the soul. Remembrance of Allah is the pleasure and comfort of the believer while attaining what benefits him and avoiding what harms him. For this reason, Islamic Law prescribes a number of specific remembrances to relate the Muslim back to his Lord whatever the circumstance, in every place, and at all times, when hoping for something desired, or fearing something disliked. Verily, in the remembrance of Allah hearts find rest. 4. Maintaining one’s health: This covers all aspects of health: physical, emotional, mental and spiritual. Physical health: Man is naturally concerned with preserving his physical health, this being part of his instinct to survive. It is also a means of realizing his worldly aims of attaining food, drink, clothing, and transportation. Do not kill a person – whose life Allah has made sacred – except in the dispensation of justice. - Do not strain your eyes in longing for the things that we have given to some groups of them to enjoy, the splendor of the life of this world, through which we test them. But the provision of your Lord is better and more lasting. - O you who believe, let not one group scoff at another; it may be that the latter are better than the former. Nor let some women scoff at other women; it may be that the latter are better than the former. Do not defame one another and do not call each other by nicknames. How evil is the name of iniquity after faith. And whoever does not repent, these are indeed transgressors. O you who believe, avoid much suspicion. Indeed some suspicion is sinful. And do not spy on or backbite one another. Would one of you like to eat the flesh of his dead brother? You would hate it. And fear Allah. Verily, Allah is Oft Forgiving, Most Merciful. O you who believe, intoxicants, gambling, idols, and divination are abominations of Satan’s handiwork. So avoid all of it so that perhaps you might be successful. Satan wants only to excite enmity and hatred between you with intoxicants and gambling and hinder you from the remembrance of Allah and from prayer. So will you not then abstain? Those who disbelieve will enjoy this world and eat as cattle eat, and the Hellfire will be their abode. Who has forbidden the adornment given by Allah that He has brought forth for his servants, and the good things of sustenance? Time is a person’s capital, being the duration of his stay on this world. Islam, therefore, is very concerned with time. It makes the believer responsible for the time at his disposal. On the Day of Judgment, he will be asked about it. Islamic Law requires that he manages his time wisely and utilizes it well. This is achieved by balancing his worldly needs with his worship and caring for his spiritual needs. Islam encourages the believer to get maximum benefit out of his time, filling it with beneficial activities and good deeds. O you who believe, do not let your wealth and children prevent you from the remembrance of Allah. Whosoever does this; they are surely among the losers. And spend from what We have provided you before one of you approaches death and says, ‘My Lord, if you would only give me a little more time, I would give in charity and I would be one of the righteous. "From the beginning of their creation, people are on a journey. They will not be allowed to halt except when they reach their destination which is either in Paradise or in Hell. The intelligent one among them knows that the journey is based on hardships and embarking [various kinds of] dangers. It is usually difficult to seek [any] bliss, pleasure or comfort during it [journey], that is to be found after the journey’s end. It is known that every footstep and every moan made during the journey will not halt him, nor is he burdened to stop. It is established that he is traveling in the state in which the traveler must be in to prepare for the provisions to his destination, and if he halts, sleeps, or rests, he is doing that while preparing to complete the journey." Imam Siraj Wahhaj, currently the Imam of Masjid Al-Taqwa in Brooklyn, New York, accepted Islam in 1969. He received Imam training at Ummul Qura University of Makkah in 1978 and has gone on to become a national and international speaker on Islam. Imam Wahhaj has been Vice President of ISNA U.S. since 1997 and has served on Majlis Ash-Shura since 1987. He is a past member of ISNA's Planning Committee and has served as a member of the Board of Advisors for NAIT from 1989-1993. He is also a member of the Board of Advisors for the American Muslim Council. Whether you’re young or old, good health, stalwart friends and financial security are the best predictors of happiness, according to a new survey on aging by the Pew Research Center. The new survey shows that levels of happiness are roughly constant across age groups, despite platitudes about the bliss of youth. Among older adults, happiness tended to vary little with gender or race, the survey also found. Still, key factors separate the happy from the unhappy. Unsurprisingly, people in excellent health were 25 percent more likely to say they were “very happy” compared to those in poorer health, the survey found. Feeling financially prepared for retirement and having good friends were associated with similarly increased odds that people would describe themselves as happy. Happiness intrigues scientists. While it’s clear that good health contributes to one’s contentment, many researchers think the reverse is also true — that happiness leads to good health. But the mechanisms are not clear, said Marlene Lee, a senior research associate at the Population Reference Bureau, a nonprofit research organization. “It’s just absolutely fascinating that your happiness can not only lead to your health, but also to other people’s happiness and their health,” Ms. Lee said. As people age, their social networks shrink, scientists have found. But while having fewer social outlets may negatively influence health, the intensity and emotional connection of the remaining relationships increases with age, which may help compensate for fewer social ties. This is a transcript of the True Happiness Khutbah by Yasir Qadhi . One of the sisters, Bint AbelHamid, took this project on and transcribed it , may Allah (swt) reward her immensely for her efforts. My dear brothers and sisters in Islam, it is a common fact of existence that each and every living being, each and every breathing organism has but one ultimate goal. In each and every thing that it does - in its sleep and its wakeful state, in its movement and its rest, in its eating and drinking and socializing - in whatever action that ANY living organism does - animal or man, inse or jinn, Muslim or Non-Muslim, male or female - there is but one ultimate goal. And that goal is to find an inner happiness. That goal is to be fulfilled, is to feel sakeena and tuma’neena, is to feel peaceful within themselves. So, whatever every person does, that person believe that through this thing, “I will be happy. It will bring me comfort; it will bring me pleasure; it will bring me joy and peace.” This is what motivates every single living organism, every single being - this is what motivates it. Now, the goal is one, and that is the goal to feel happy. But we find that the paths to find this happiness are different. We find that various people take different goals, different methods, different paths, different roads. And they all think that they will arrive at the same destination. And most of us, most of us, sadly, believe that happiness is a combination of the above factors. A little bit of wealth, with a little bit of fame and a little bit of sensual desires. If you were to interview this elite, if you were to get to know them and ask them, “You have spent your life hoarding this wealth, amassing fortunes, you’re on the Ford list of 100 richest people or 50 richest people; you’re one of the most influential people according to Times Magazine; you’re one of the most famous actors and actresses - everybody knows you; your pictures appear on the magazines; you fall, you sneeze, you laugh, it becomes a national news item; you enter the hospital, you come out of it, the whole world knows… Fine, let me ask: have you achieved… happiness? “Sure, you’re rich, you’re famous, you’re wealthy, you’re the most evil in terms of sensuality, sure - [but] have you achieved this inner happiness? Because the rest of society looks up to you. The rest of society believes you have, they take you as their role models, they take you as their gods and goddesses that they have to worship. Each and every thing that you do becomes a religion for them, they follow your statistics, your marriages and divorces - you become their role model! For many people, they very thing that they were desiring becomes a curse. For many people, the fame, the recognition, becomes a curse that they cannot get out of it, they cannot live normal lives anymore. They were the ones who didn’t want to live normal lives, they were the ones striving to get famous. Once they reach there, they regret it. They can’t enjoy a normal life anymore… and they have no one to blame but themselves. When they become rich, their entire thinking, their entire day and night becomes worrying about the stock going up and down, my company floundering or getting more money, this transaction, that business, that deal going through. In other words, their time becomes locked up with that money, not with their family, not with the joys of life, not with the happiness. So what if they wear a fancier suit and they drive a better car?! In their hearts they are more busier, they are more filthy. In their hearts they have nothing to enjoy that with, because their minds are always thinking about this money and how to get more and how to make sure it doesn’t go away. They become slaves to the money that they were worshipping besides Allah. And the same goes for sensuality, and the same goes for satisfying your bestial desires. Ask anybody - anybody - and many of us, unfortunately, have fallen also into these types of sins, and so you know from your own self - do these desires bring about infinite happiness? Whatever they are, do they bring about genuine joy and sincerity? Do they bring about fulfillment, inner sakeena? Or - or, is it like a poisoned sweet, that you enjoy something for a while. You enjoy something for a while, and then as soon as that enjoyment finishes, the outer layer dissolves, [and] what is left is bitter poison; what is left is that which rots the heart? This is something we experience in our daily lives, when we commit a sin, whatever that sin might be. Sure we enjoy it, that’s why we committed the sin. Let us not fool ourselves and say there is no pleasure in sin. Of course there is pleasure in sin - that is why we commit sins; because we enjoy doing them. But let me ask you, when we finish that sin, even during, while committing that sin and as soon as we finish it: Do we feel proud? Do we feel good? Do we feel happy inside of ourselves? On the contrary, we feel disgusted. We feel evil, we feel dirty - a type of dirtiness, you can take a thousand showers, it won’t wash away the dirt that you feel because it is an inner dirt. It is an inner garbage that you have put into yourself and your own system. All of this shows us that the paths to happiness that mankind has chosen are not the ultimate paths to happiness. They are not. We don’t need Qur’an and Sunnah to prove this - life proves it. Life itself proves it to us. Of course, the Qur’an and Sunnah adds to this, but we don’t need to quote evidences, because human experience, human interaction, is enough of an evidence that the paths to happiness are not found in the ways that most of mankind are doing them. So the question arises, if the paths to happiness are not as we have mentioned before, what, then, IS the path to happiness? What are you composed of? You will respond: “I am composed of body and soul. Rooh [soul] and Jasad [body]. I have a body, this physical body, and I have an inner soul, a rooh, and the two put together form life as we know it.” The rooh and the jasad put together forms life as we know it. So I ask you, “Ok, what is this body made of?” You will say: this body is made of earth, clay, - which is the earth around us - Allah fashioned this clay, and then blew life into it. So since the body is made of earth, in order to feed the body, we need to feed it with nutrients that come from the earth. The body is made from earth - how to feed the body? From nutrients made from this earth. Allah ‘azza wa jal caused plants to grow, animals eat the plants, water is stored in the soil, comes down form the skies and we find it in the lakes and rivers. So we eat and drink from the source of our body, and that is: the land around us. You have taken care of your physical side. But you see, most people consider pleasure only to be composed of body. So they find pleasure through bodily experiences. They forget, what makes them really human is the rooh. What makes them above other beings, other creatures, is the intelligent rooh that Allah gave us. This intelligent rooh is what makes us above animals, it makes us above everything else. You don’t have much knowledge. But we do know it is from Allah. So the question is, what will we nourish the rooh with? And when we answer this question, that is when we will answer “how to gain happiness.” How so? Because as we said, what makes us human, more than the jasad, is the rooh. What makes us truly human - the jasad comes and goes; the rooh will be eternal. The rooh will be, either in jahennam or in jannah, with the body, but the body is going to go through many phases. The rooh will not go through any phase. The rooh will always be the rooh. So by feeding the rooh, we attain eternal life. And by neglecting the rooh, we suffocate the rooh. What is the rooh fed by? This is the question. The response: the rooh must be fed from substances that originate from its [own] origins, just like the body must be fed from substances that originated from where the body originated. Where did the rooh originate form? From Allah subhanahu wa ta’ala. Therefore, to feed the rooh, we need to sustain it via a connection with Allah subhanahu wa ta’ala. We need a feeding tube, if you like, from all that relates to Allah subhanahu wa ta’ala. Fasting… praying… charity… dhikr… every single act of worship that we do, it will feed the rooh; it makes the rooh grow stronger. 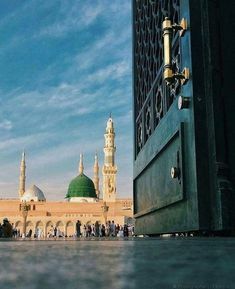 It will make the rooh become more alive, and when the rooh is alive, even if the body is week - subhan Allah, even if the body is dead - when the rooh is alive, it will enjoy blessings from Allah in the hereafter. Even when the body is dead, because the rooh is alive, it will be happy. The scholars of tafseer say: this verse applies to the one who was not worshipping Allah, and Allah called him dead. And then Allah says: “We gave him life” by bringing him into My worship, by bringing him into the sphere of connecting himself with Allah. So the point is, this verse calls the person who does not worship Allah dead. Even though he is living - he’s walking on the face of this earth; but Allah calls him dead: “awamen kaana maytan.” Then Allah says: “fa ‘ahyaynaah” - “We gave him life” - by guiding him to Islam, We gave him life by giving him a reason to live, a reason to feel that happiness and joy. Brothers and sisters, ultimate happiness, ultimate happiness comes from Allah subhanahu wa ta’ala. And in order to get that happiness, we need to establish a connection with Allah. Once we establish a connection with Allah, the world becomes secondary - what we have, alhamdulillah, what we don’t have, alhamdulillah! The world does not become our ultimate goal. And when the world seizes to be our ultimate goal, then all of a sudden we are content with what we have. Our money, our wealth, our fame, our family, our health - everything: we have it, alhamdulillah, we thank Allah, we don’t, we are still thankful and our attitudes are optimistic and hoping for the best form Allah. So the point being, when we correct our inner state, our rooh, the outer state becomes truly irrelevant. When we don’t correct our inner state, no matter how much we feed the outer state, the jasad, it will never be satisfied. No matter what we do with the jasad, the body, it will never be satisfied, it will always want more and more and more. But if we feed the rooh, then the body becomes content, and when it becomes content, then and only then is where we find ultimate happiness. What I have just said, brothers and sisters, is not something that I need to back up with Qur’an and Sunnah, even though it can be backed up with Qur’an and Sunnah. Because, as I said initially, this is something that we experiences in our lives. It is something that is a fact, that each and every one of us has tasted. We don’t need to prove it through external sources, because we are living proofs of it. Let me ask you a question, and answer yourself in your own mind this: how do you feel on a day that you’ve read your five prayers? How do you feel on a day that you woke up for Fajr and you prayed Fajr at its proper time? How do you feel when you recite the Qur’an and you close that book and you put it back? How do you feel for the rest of the day? How do you feel after a LONG day of fasting in Ramadan, and you break your iftaar, you’ve been tired physically - how do you feel inside? How do you feel after doing ‘umrah or hajj? How do you feel after giving charity to a poor person and nobody knows except Allah subhanahu wa ta’ala, and you fed that person and you gave him money - how do you feel inside of you? I ask you this question: this feeling of joy, of happiness, of fulfillment - can you purchase the feeling by all the money in the world? Can you buy it, can you go to the shop and say: GIVE me this inner happiness that one day’s fasting gave me! Give me this feeling that reading the Qur’an gave me. Can ALL the money in the WORLD purchase that happiness inside of you? By Allah, YOU know the answer: no, it cannot. When you do what Allah wants you to do, of course you will feel fulfilled. Of course! Allah made you for this purpose. When you do it, you feel fulfilled because you are fulfilling your purpose of life! But when you neglect Allah - when you neglect Allah, when you neglect the religion, when you neglect the spirituality, what happens? Wallahi, you can eat, you can feed yourself, you can follow every passion in the book - it would increase you nothing by disgust, nothing but feeling bad, nothing but regret, nothing but remorse. You can do each and every sin in the book, and yet at the end of all of that, you have not attained - forget happiness - you have attained ultimate sadness. You have wasted your life, you have neglected what Allah ‘azza wa jal has created you for, and you feel it in your heart. And again, I ask you: when you commit a sin, that feeling that you get after committing that sin, that feeling of guilt, that feeling of distancing yourself from Allah, that you have done something that displeased Allah - can ALL the money in the WORLD get rid of that feeling? Can ALL the money in the world get rid of that feeling that you have that YOU have gone against the purpose of creation? So, my brothers and sisters, now my question now comes to myself and all of you: if this feeling is a feeling that we know from our lives, without even reading the Qur’an and Sunnah (I can quote you dozens of verses, dozens of ahadeeth, dozens of aathaar of the scholars of the past), but this is something I don’t need to do - why? Because I know it as well as you. You experience it, and I experience it, in our lives. The question, then, becomes: if we experience it, if we know it, if this is a reality we have tasted and felt, we have SMELT this reality, then why have we neglected it? When you KNOW this reality, when you experience it, WHAT is the problem? You know it! Sins only increase your guilt, your feeling DISpleasure. Worshipping Allah only increases you in happiness. What’s the problem? What’s the problem? Why don’t you turn to the worship of Allah, and diminish your sins? You’re never going to leave your sins, you’re not going to become an angel - diminish them. The goal is to fight against sins, to lower them, to minimize them. The goal is perfection, but you know you’re never going to become perfect. You’re always going to commit sins. Okay. Commit sins. Repent to Allah. Continue to establish [a] relationship with Allah. TRY your best to minimize the sins. Always attempt to become a better person. Establish the five prayers. Oh Muslims, what will make you understand the importance of the five prayers? Establish the five prayers. Fast the month of Ramadan. Give zakat. Do the bare minimum. And wallahi your life will change upside down. Let me leave you with one challenge. One challenge. And challenge yourselves this. Challenge yourselves for ONE WEEK. To be practicing Muslims. Five times a day prayer. And leave the major sins. One week, challenge yourselves this. You’re going to pray, five times a day, on the time. And leave the major sins. After this one week, I challenge you. After you have tasted the sweetness of iman, I challenge you to go back to your old ways. You won’t be able to do it. After you have tasted how good it feels to worship Allah, you’re never going to go back to your old ways. You have to give yourself that encouragement - turn to Allah, make du’aa to Allah, and try your best, STRIVE to be a better Muslim, and when you’ve started feeling the TASTE of that sweetness of iman, it will become more addictive to you than ANY other sweetness on this earth. And once you do that, it will become easier to go higher and higher and higher. You’re not going to find tranquility through ANY other means. Isn't it the audio material in the second part of this Deen Show video? How to have true peace and Joy in life?